WASHINGTON, DC, February 17, 2011 (ENS) – The League of Conservations Voters today released the 2010 National Environmental Scorecard amidst the greatest attack on the EPA’s budget in 30 years and current Congressional assaults on the Clean Air Act, Clean Water Act, wildlife and wild places. Generally, Democrats in both the Senate and the House scored high on environmental votes, many hitting 100 percent, while Republicans scored low, many hitting zero. “While the lack of progress in 2010 is highly disappointing, we applaud those members of Congress who fought to protect public health and the environment and reduce our nation’s dangerous dependence on oil,” said Tiernan Sittenfeld, LCV senior vice president of government affairs. The 2010 Scorecard includes six different Senate and nine different House votes on issues ranging from clean energy to public health protections to lands conservation. Of the six Senate votes included, two were pro-environment and both were defeated. One would have cut subsidies to oil and gas companies, and the other would have eliminated tax breaks for the top income earners and invested the savings in renewable energy. The other Senate votes include a delay of implementation of the EPA’s lead paint rule, an anti-environmental border fence amendment, and an extension of the what LCV calls an “environmentally harmful” biodiesel tax credit. Given the “disastrous impact” of the resolution offered by Senator Lisa Murkowski, an Alaska Republican, LCV double scored that vote, which would have blocked the Environmental Protection Agency from regulating greenhouse gas emissions. Due to decisions made by Speaker Nancy Pelosi, a California Democrat, and Majority Leader Steny Hoyer, a Maryland Democrat, the House did not take up any of the legislation by representatives who sought to prevent the EPA from moving forward with protecting public health and holding polluters accountable under the Clean Air Act. In view of the fact that there were no floor votes on this top priority issue, LCV has taken the highly unusual step of scoring cosponsorship of any of these bills. In its most significant environmental action of the year, the House passed a bill to respond to the oil spill disaster in the Gulf of Mexico. The House also considered other legislation, including votes to boost energy efficiency, prevent ocean acidification, reduce algal blooms, restore the Upper Mississippi River Basin, expand water education, protect our estuaries, and expand the San Antonio Missions Park. This year, 24 senators earned a perfect 100 percent score, while in the House 119 members earned a perfect 100 percent score. In the Senate, 28 senators earned a zero percent score, while in the House 81 members earned a zero percent score. A major indicator of the change in landscape in the House for 2011, the average lifetime score of members defeated in the 2010 election cycle is 73 percent. In Arizona, among Democrats, Represenative Gabrielle Giffords, who is still recovering from a bullet wound to the head in a January shooting, scored 80 percent; Raul Grijalva matched her score and Ed Pastor scored 100 percent. Arizona Senators John McCain and Jon Kyl, both Republicans, each scored 14 percent. In California, Senators Barbara Boxer and Diane Feinstein, both Democrats, each scored 100 percent. In the House, 15 California Democrats scored 100 percent and 15 Republicans scored zero. 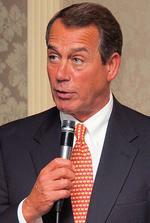 In Ohio, Republican Congressman John Boehner, who is now Speaker of the House, scored zero percent, along with three other Republicans. Six Ohio Democrats in the House scored 100 percent: Steve Driehaus, Marcia Fudge, Mary Jo Kilroy, Dennis Kucinich, Tim Ryan, and Betty Sutton. In the Senate, Ohio Democrat Sherrod Brown scored 100 percent, while Republican George Voinovich scored 29 percent. In Florida, the balance in the Senate was similar with Democrat Bill Nelson scoring 86 percent, and Republican George LeMieux, 14. In the House, three Florida Democrats scored 100 percent and three others scored 90 percent, while all the Florida House Republicans scored 50 percent or lower. 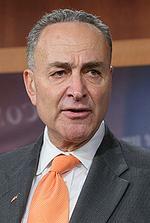 In New York, Senators Charles Schumer and Kirsten Gillibrand both scored 100 percent. On the House side, 17 New York representatives, all Democrats, scored 100 percent, while most of the other Democrats scored 90 percent. The two New York Republicans scored in the House earch earned 10 percent. For 40 years, the LCV’s National Environmental Scorecard has been used to rate members of Congress on environmental, public health and energy issues.